New Rochelle, NY, July 3, 2018-The promise of generating truly pluripotent stem cells from terminally differentiated adult cell types continues to captivate scientists who envision great potential for therapeutic interventions. The two primary methods involve either the replacement of oocyte nuclei with adult somatic cell nuclei–a process known as somatic cell nuclear transfer (SCNT)–or the introduction, typically by viruses, of a cocktail of specific transcription factors to create induced pluripotent stem cells (iPSCs). SCNT is more efficient and less variable but technically more demanding, and the availability of high-quality oocytes is limited. 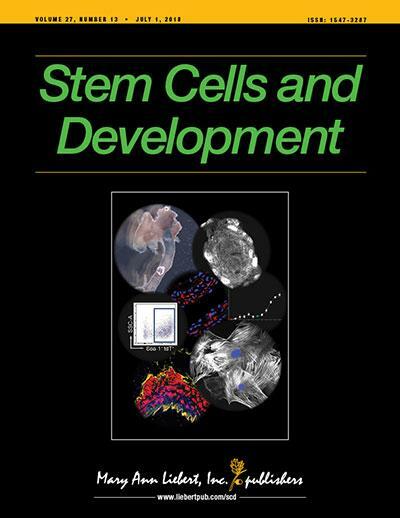 Thus, the potential to combine these approaches by identifying the crucial factors in oocytes that mediate SCNT efficiency is reviewed in a new article published in Stem Cells and Development, a peer-reviewed journal from Mary Ann Liebert, Inc., publishers. The article is available free on the Stem Cells and Development website until August 3, 2018. In "Somatic Cell Reprogramming Informed by the Oocyte," Elena González-Muñoz, PhD, Andalusian Center for Nanomedicine and Biotechnology, Málaga, Spain, and Jose B. Cibelli, PhD, DVM, Michigan State University, categorically describe the known and potential oocyte-specific factors that can drive or assist somatic cell reprogramming by modulating the epigenetic landscape. They sort these factors into maternal histones and their chaperones, histone deacetylases and acetyltransferases, histone methylation modifiers, DNA methylation modifiers, transcription factors, miRNAs, and lncRNAs. Specific epigenetic modifications known to influence pluripotency are discussed along with their disruption by small molecules. Collectively, the authors provide a logical framework for understanding how oocyte factors can de-differentiate committed cells and a platform for studying and discovering optimal combinations to increase the efficiency, reproducibility, and safety of this technique. "Elena González-Muñoz and Jose Cibelli provide an insightful treatise on recent advances in animal cloning and how those studies inform our understanding of induced pluripotency of somatic cells". says Editor-in-Chief Graham C. Parker, PhD, The Carman and Ann Adams Department of Pediatrics, Wayne State University School of Medicine, Detroit, MI.